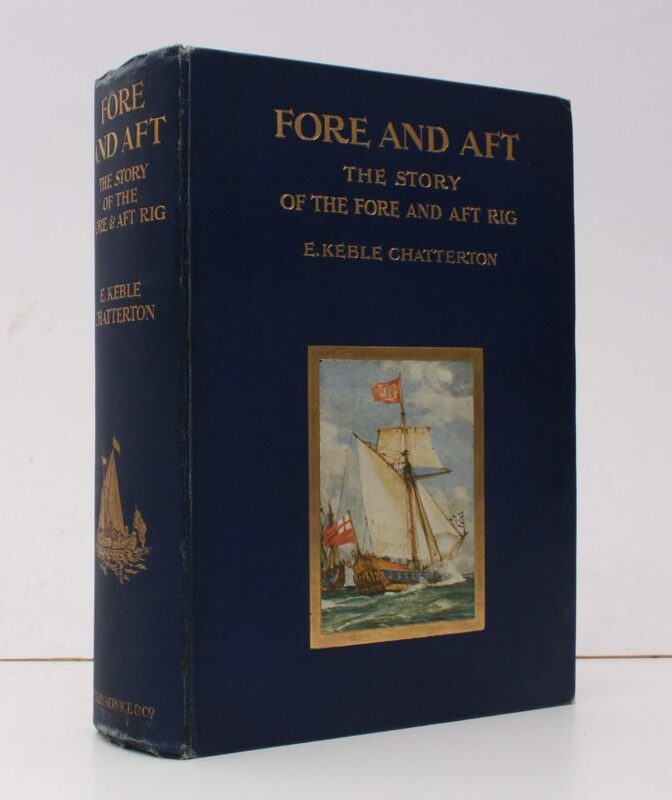 The Story of the Fore and Aft Rig from the Earliest Times to the Present Day. 8vo., First Edition, with coloured frontispiece, plates in monochrome and numerous illustrations in the text (a number full-page), free endpapers mildly browned; blue cloth, upper board lettered in gilt with coloured illustration (repeated from frontispiece) mounted in gilt frame, gilt back, gilt top, an unusually well-preserved bright, clean, crisp copy. With 4pp publisher's catalogue bound in at end.